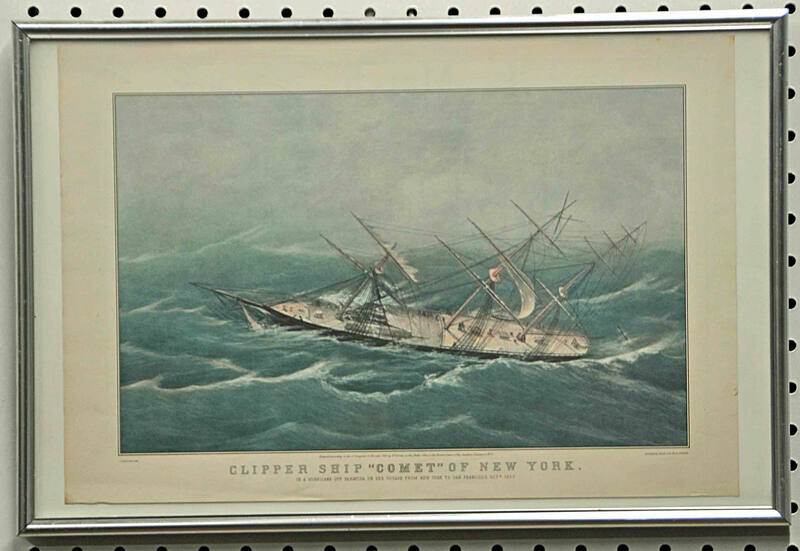 Up For Sale is a VINTAGE COLOR authentic and original art Print in lithograph color of the ‘CLIPPER SHIP “COMET” of New York’. 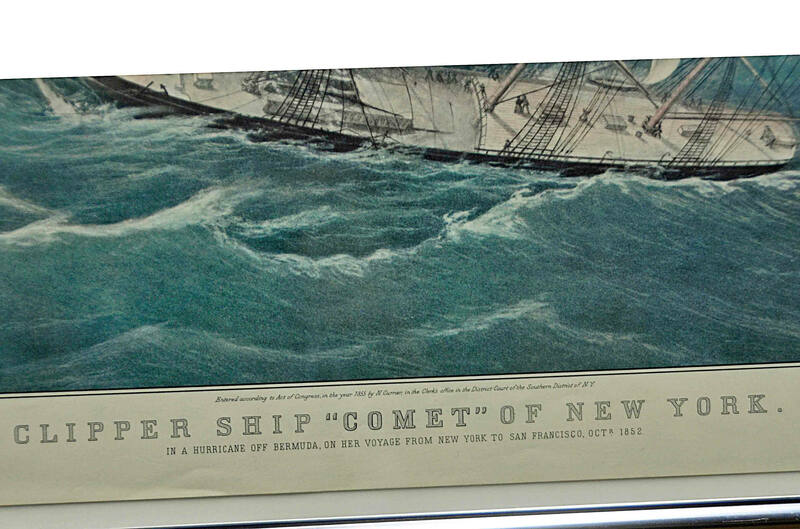 IN A HURRICANE OFF BERMUDA ON HER VOYAGE FROM NEW YORK TO SAN FRANCISCO, OCT. 1852. Entered according to the act of congress, in the year 1855 by N. Currier in the Clerk’s Office in the District Court of the Southern District of N. Y. Reprinted from Lithograph by N. Currier. Print Measures 16” x 10 7/8” and 18 1/4” x 12” in frame. Description: Nathaniel Currier (1813-1888) and James Merritt Ives (1824-1895) were partners in the firm of Currier and Ives, the most important 19th-century lithographic company in America. Their prints were widely sold across the nation. Nathaniel Currier, born in Roxbury, Mass., was apprenticed in his teens to a Boston lithographic firm. 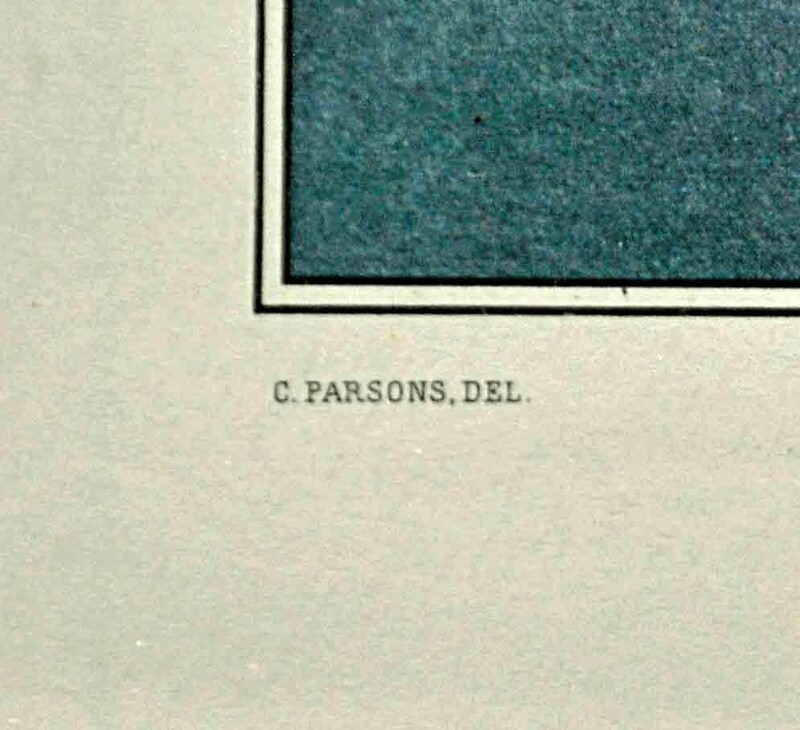 He established his own lithography business in New York City in 1835. The lithographer James Ives, born in New York City, entered into partnership with Currier in 1857. 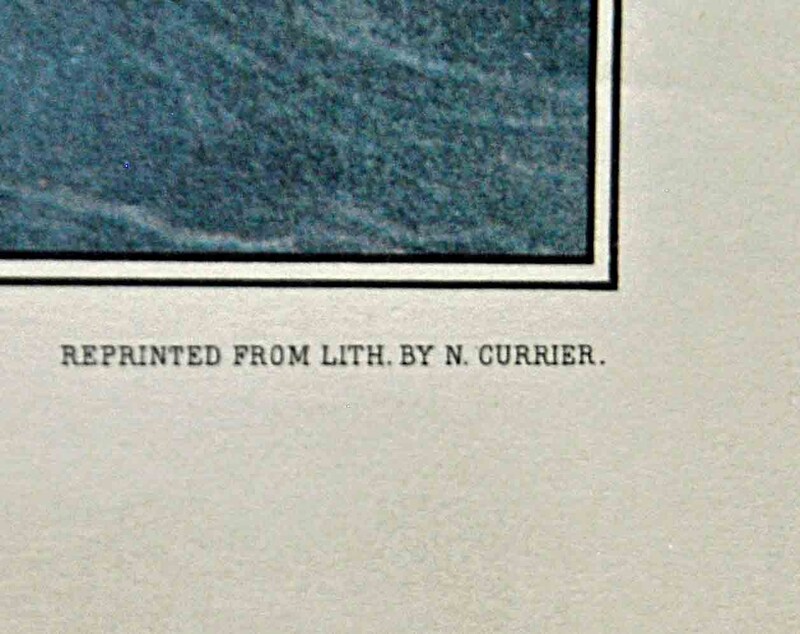 Currier retired in 1888, Ives a few years later; but the firm was carried on by their sons and flourished until 1907. Lithography had begun in America in the 1820s. It was quicker and less expensive than engraving, hence the remarkable success of the firm of Currier and Ives. 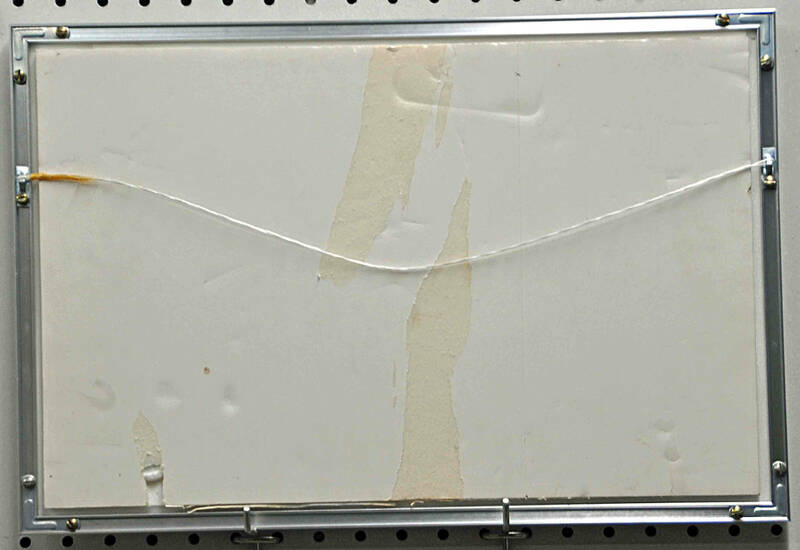 Soon after setting up business they produced extensive folios, usually based on paintings. Some of the work was crude, but the quality varied considerably.